When you outsource accounting tasks to your overseas team you’re freeing up a great deal of time that can be used to improve your clients’ finances. This enables you to set fees based on the quality of the improvements that you’re able to bring to your clients. However asking for upgrades in pay is something that can give people a rather uncomfortable feeling. How do you get past this squeamishness to get the value that you deserve from your clients? Take a look at the work you’re doing for your client. Don’t just identify the particular service itself; instead figure out all the ways your work branches out to improve multiple facets of your client’s finances. For example, you do basic compliance work for Client A. The fact that they get their taxes in on time utilising the full range of potential benefits is really just your starting point. Think about all the ways your client can use that compliance work to expand their business – goal planning, acquiring expansion financing, indexing if they intend to sell the business down the road, and so on. When you outsource accounting services, even those of the most basic nature, you’re providing your client with a litany of benefits. How you go about working on a project isn’t going to excite your clients. They don’t care about how efficient your systems are, they just want the work done well and done on time. So when you’re pitching a project to a client make sure you’re selling them on the fact that because you outsource accounting services your firm will have the time and expertise to help them gain X customers in one year’s time, or put them in a position to ask for Y percent more per widget, etc. In addition, if you were to send your client a document outlining how you would approach a project as your pitch (instead of selling them on the goals) you’d basically be handing them a license to go to your competitors with your system so they can ask for a lower price based on your hard work. As you work on file or a project fire out an email now and then, maybe on a weekly basis, updating your client on the progress you’ve made on their behalf and outlining the work that you’re done for them. Since you outsource accounting work to your overseas team you’ll have plenty of time to keep your clients in the loop. For this small expenditure of effort you’re going to make your clients feel like they’re in trustworthy hands since they’re constantly kept abreast of the situation, while at the same time you’ll be subtly reminding them of all the work and consideration you’re putting into the project. Once they know how much effort you’re making on their behalf you’ll be in a better position to increase your prices. If you outsource accounting work you’ll have time to get into more detail with your clients when they come to you with a problem. Say they come to you asking which person on their payroll they can cut that will cause their business minimal losses once they’ve been handed their pink slip. You can figure that out easy enough. However it can pay to dig a little deeper. Ask them why they feel the need to cut someone. If they reply, for example, that their suppliers have raised the prices on their components that go into making their widgets you may be able to work through their numbers to find an alternative to the firing. So you use that time you have since you outsource accounting to figure out that they can pass on the increase in price to their customers, and in fact if they increase the price even more than just to cover the cost of the components they will then be able to afford to lose a couple of customers and still increase their profits. You’ve just saved them the hassle of firing someone and you’ve made them money to boot. This puts you in a great position to increase your own rates to be commensurate to the value that you provide them. Since you outsource accounting work chances are you’ll be able to provide the same amount or greater of value to your clients for less than what your competitors charge them. However a little bit of a discount goes a long way so make sure you’re only charging slightly less for your services. When checking out the competition get specific – find out how much they charge for specific services as opposed to some kind of overall firm-wide rate. Work out systems for getting references and referrals. You outsource accounting tasks so you’re going to have some free time to read them now and again when you need an ego boost. Read them before you pitch a client on increased prices to remind yourself of the awesome value that you provide – you know it’s awesome because you have it right there in black and white. Use some of that extra time you have since you outsource accounting services to spread out all those reference letters. Remind yourself how much of your business comes from referrals. These are solid evidence that you provide great value. Now consider this – what would happen to your firm if you raised your prices to match your competitors who seem to be pulling in more money than you? Do you think you would lose a lot of clients? If you constantly communicate all of that value that you bring to your clients then the answer is probably not. If you did lose a client or two, would the price bump cover the losses? Are the lost clients likely to be A-list clients, or D-listers? Make your new prices part of your routine. When you pitch a project to a client don’t ask for the new amount, tell them that this is what you charge for this kind of project. Your firm is of immense importance to your clients’ financial welfare. You deserve to be paid properly for the amount of work and care you put into their files. Clients instinctively know that you’re worth every penny; sometimes the trick is that you have to know it yourself. 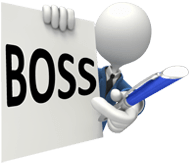 BOSS (Back Office Shared Services Pty Ltd) is Australia’s premium outsource accounting provider supplying well-trained high-quality accountants and bookkeepers. To discuss your needs and how we can help, Book a Consultation NOW!